The recent Wines of South Africa sponsored Trés Bonne Anneé www.tresbonneannee.org wine auction held recently in Harrisburg, Pennsylvania was an enormous PR success for South African wines. The auction raised a lot of interesting points for discussion and placed the value of charity auctions firmly into the spotlight. The auction was a slick 3-day event culminating in a gala dinner which raised about R4, 000,000 for charity. The ‘ultimate luxury’ trip to South Africa including visits to South Africa’s top wineries, a gourmet dinner at Warwick Estate, a 3 day Safari at Singita and a stay and Vilafonté wine dinner at the Cape Grace raised the highest bid of the evening after 4 bidders finally capitulated at R765,000. Large format bottles of Warwick and Vilafonté easily raised R50,000. After the recent record-breaking Cape Winemakers Guild Auction and in a year that saw a similar record tumble at the Nederburg auction – it would perhaps be appropriate to reflect on the value (or lack of value) that these events can add to the South African wine industry. The recent press release from Nederburg announcing the intention to move the long immortalized April auction date to a more ‘appropriate’ September date in order to allow recently released white wines to be auctioned appears, at face value, to be a decision which will for the first time place the Nederburg auction in direct competition with the Cape Winemakers Guild Auction. To quote the press release; “We hope that by giving the market advance warning of our decision to move to September, they will be able to plan their budgets accordingly.” At face value, it would appear naïve to assume that annual auction buying budgets will simply be all allocated to a new time of year and that the ‘spoils’ will simply be divided between the two competing auctions. It would be prudent to ask if, in fact, the two auctions are competing. This opens a debate which would surely provoke a lot of debate. Nederburg organizers would have discussed the virtues of the change and concluded that they do not compete with the CWG auction. The CWG on the other hand, I am fairly sure, were not given the benefit of expressing an opinion as they read about this event in the news like the rest of us. So where to from here? I don’t know, but this does provide an opportunity to revert to the original question intended to be addressed by these ramblings. What value do the South African auctions add to our industry? The traditional international wine auction circuit is spearheaded by the conventional auction houses like Sotheby’s Christies, Zachy’s, Langtons and many others of smaller yet equally impressive repute. They tend to provide a forum for the auction and trade in rare and extremely valuable wines that have become commodities in this day and age. It is only the few wineries that populate the rarefied atmosphere of the ‘unobtainable’ that have the resources, reputation and clout to build their brands in these environments. Access to these auctions is not automatic and it is invariably demand that spurns demand – a vicious cycle for a brand trying to break into this mold. Australia achieved it with Grange, Hill of Grace and a number of other wannabe’s that have been thrust on the world by an enthusiastic antipodean package holiday by Parker. 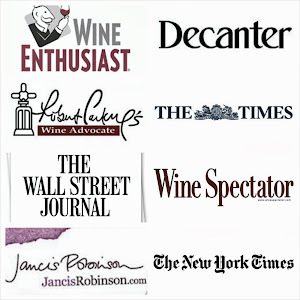 In contrast, the Americans have long used charity auctions as one of the mainstays of regional wine promotion. Cooperation with deserving charities and generous patrons that regularly raise enormous amounts of money has been a branding boon to the Californians cults that have excelled at auction. It may well be the auctions that created the cult culture .To outsiders, the charity auction provides a disconnect between value and price. This is the key. Any conventional commercial auction will generally have buyers concocting fanciful theorems around the value of the auction lot and what they are prepared to pay for it. Bidding will seldom occur for the sake of donation and buyers will inevitably conclude their vigorous negotiations based on value rather than affordability. This impasse was recently broken by the inimitable Niels Verburg when, at the 2006 CWG Ball, he auctioned ‘nothing’ for R10,000 to a group of extroverted bidders determined to make a donation to the CWG Trust. A successful lot was sold for the auction with the goals of the CWG and the bidder achieved because at no time was there a promise of value. If that auction lot of ‘nothing’ had included a bottle of a rare South African vinous gem, it would have signalled the start of auction brand building which could have a significant impact on the growth of the reputation of South African wines. The commercial objectives of the major SA wine auctions are a material obstacle to the real benefits which could be accrued to the wine industry if they were to have a greater social objective. It would appear that the Nederburg calendar adjustment has created a void in the SA wine industry for a summer charity wine event that would have as an objective the raising of a noteworthy amount of money for a significant local charity. Our industry deserves an event that would allow patrons to dig deep as a charitable donation and which in return would reward them with a rare and unique wine lot. We could learn an enormous amount by studying events like the Napa Valley wine auction itself. A signed magnum will no longer suffice as a desirable auction lot. The value of this auctions would be best served if the number of lots was severely restricted and if wineries start competing among themselves to provide the most exotic, the rarest, the most luxurious and the most personal auction experiences for the sake of charitable donation and brand building. To quote Anne Colgin, the auctioneer at the Naples Wine Festival, the most successful wine auction in the world; “Auction lots are highly prized because they are items and experiences people can't duplicate on their own." Any takers?